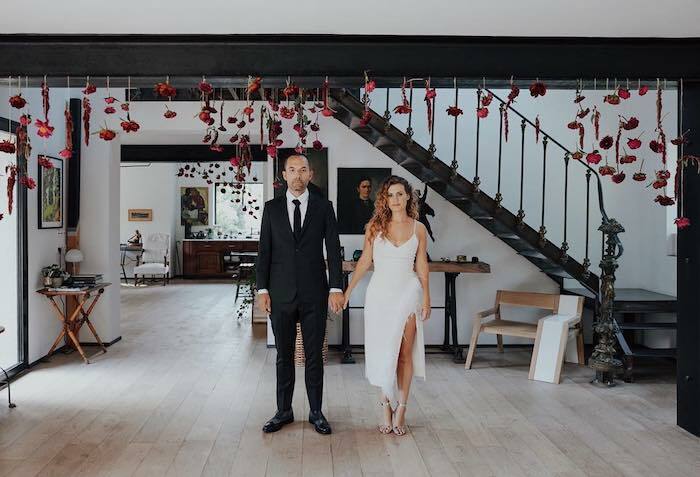 Our daughter was married in Paris this last July. 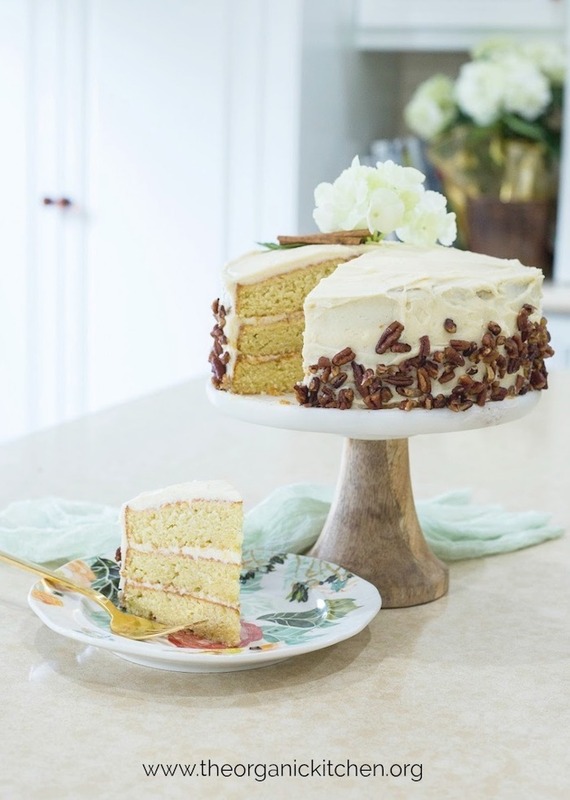 Her beautiful wedding and the stunning location inspired this recipe for luscious French Cream Cake with Maple Cream Cheese Frosting and Cinnamon Pecans. 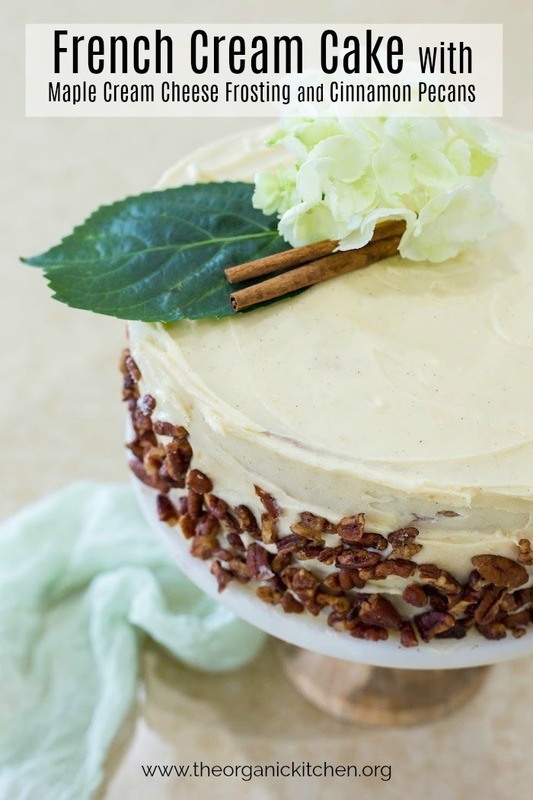 The perfect cake for any celebration! 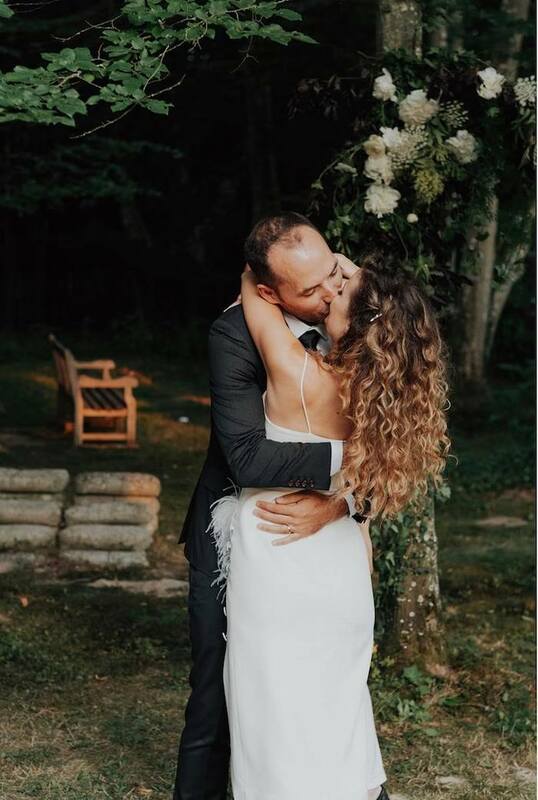 My daughter (the bride) was born and raised in Southern California, the groom is from Paris. 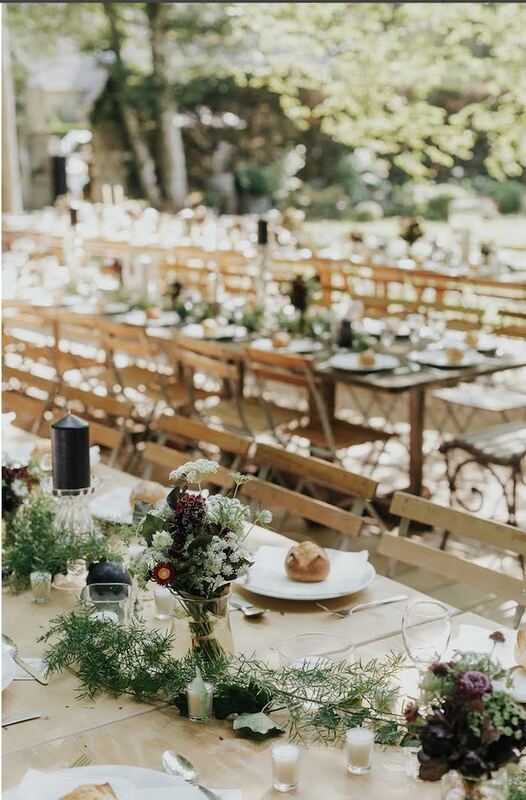 His mother’s beautiful farmhouse just outside the city in the town of Barbizon was chosen as the spectacular backdrop for this celebration! 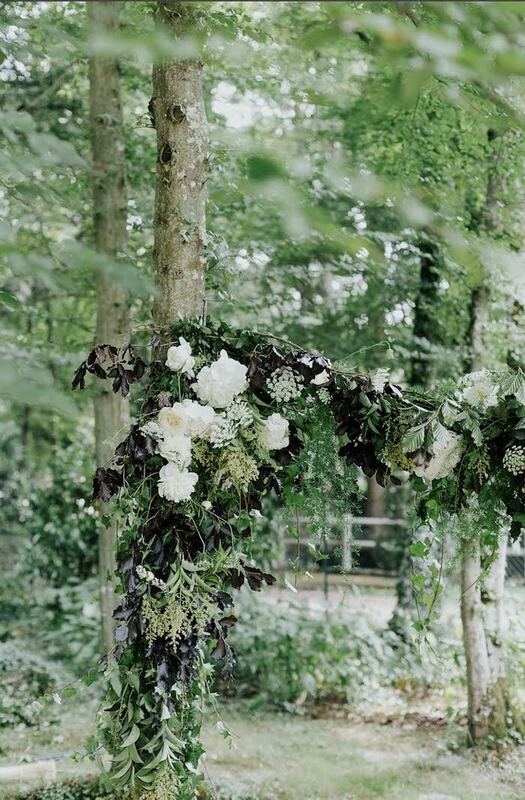 The grounds are exquisite, simple and romantic. And the interior of the house was no different, understated, elegant, tasteful and unique. 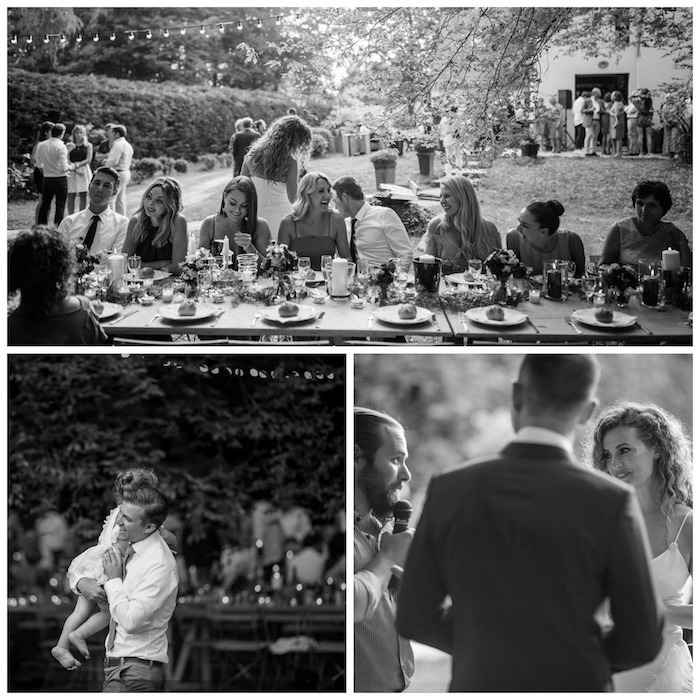 The yard and the house were the perfect venue for the simple ceremony and the party that followed. Wedding photography by Logan Cole.View wedding video by Max Cutrone here. 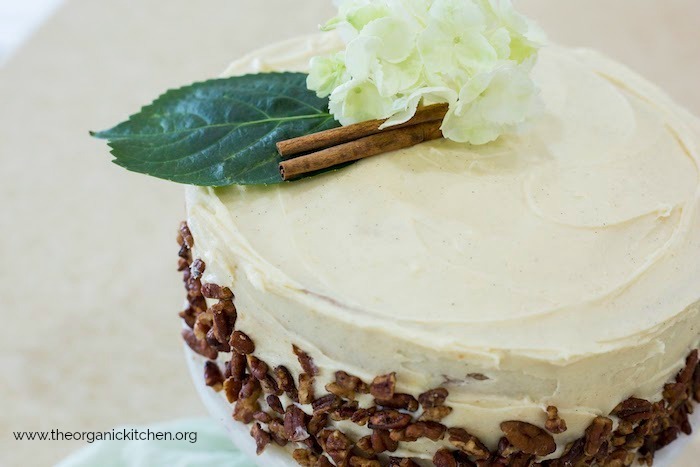 The colors and earthy vibe of this occasion inspired the creation of this French Cream Cake with Maple Cream Cheese Frosting and Cinnamon Pecans. 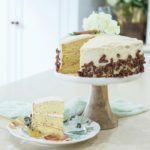 Cream, french vanilla, and buttermilk come to together for an elegant creamy cake that is finished with a silky maple cream cheese frosting and decorated with cinnamon pecans. What you need: three 8″ non stick cake tins, vanilla paste (optional but I like it better than extract) a hand mixer or stand mixer. You will also need a cookie sheet and parchment paper for baking pecans. 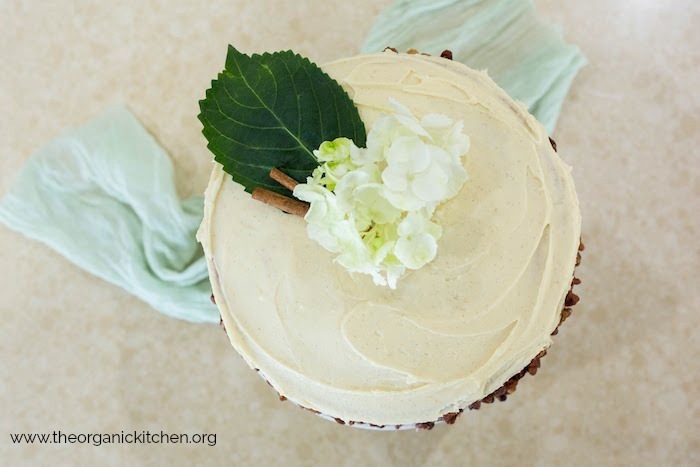 A simple, elegant French Cream Cake that you can make deliciously gluten free if desired. Use a paper towel to wipe the bottom and sides of non stick pans with butter. Lightly coat with flour. Set aside. Preheat oven to 400 degrees. Place parchment paper on rimmed cookie sheet and set aside. Instant Pot Chorizo with Potatoes!